Every year, I find at least three cigars that I just refuse to stop smoking. This year, I have already done great damage to the existence of Caldwell's Blind Man's Bluff Connecticut, Blackworks Studio's Killer Bee, and the subject of this review, the Tatuaje Né gociant Monopole. This was my most sought after cigar since Pete first teased us with it on Instagram. Was it worth the wait? Let's find out, shall we? Construction: As with every single cigar Pete puts out, the Monopole is gorgeous. No seam or vein issues. The Monopole is draped in a creamy Ecuadorian Connecticut wrapper that has a nice suede feel to it. Pre-light Aroma and Draw: Unlit, the Monopole gives off a powerful set of notes. Sweet tobacco, leather, and vanilla. Which is clearly foreshadowing. Light and Burn: Absolutely razor sharp burn from start to finish on every one of these I have smoked. Tasting: Right off the start, the Monopole gives off pepper, wood, and minerals. After a few puffs, it calms down into nice notes of cedar, cream, and toasty vanilla. I recall noting it reminds me of Vanilla Wafer cookies at times. The aforementioned leather pops in underneath as well. Pepper is actually light and not overpowering. A very nice start . The middle increases the sweet vanilla and cream notes at the core. I get a touch of orange blossom too - a note I absolutely love in a cigar. Notes of roasted nuts - maybe cashews - pops in there too. Still a touch of pepper and cedar in the background. This baby has a salty quality that reminds me of good classic Cuban cigars. Body so far is mild to medium. A cigar anyone can smoke any time of day. The final third is just as creamy and sweet as the first couple of thirds. Body lifts to the low end of medium. This is a perfect morning cigar with a cup of coffee. More vanilla. Cedary spice, toasty nuts, and that hint of orange blossom still dominate. As I finish things up, I find myself wishing for a reset button on this one so I can smoke it again. A classic. Last few puffs give a mild banana pudding note - no fooling. Seriously amazing. Value: The Tatuaje Né gociant Monopole is not cheap....And therein lies its only real flaw. The No. 2 will run you about $11 and change at most locations. It is totally worth the price...don't get me wrong....I just wish it was a couple of bucks cheaper. Final Thoughts: This is easily one of Pete Johnson's finest creations. Elegant, smooth, refined, delicious. 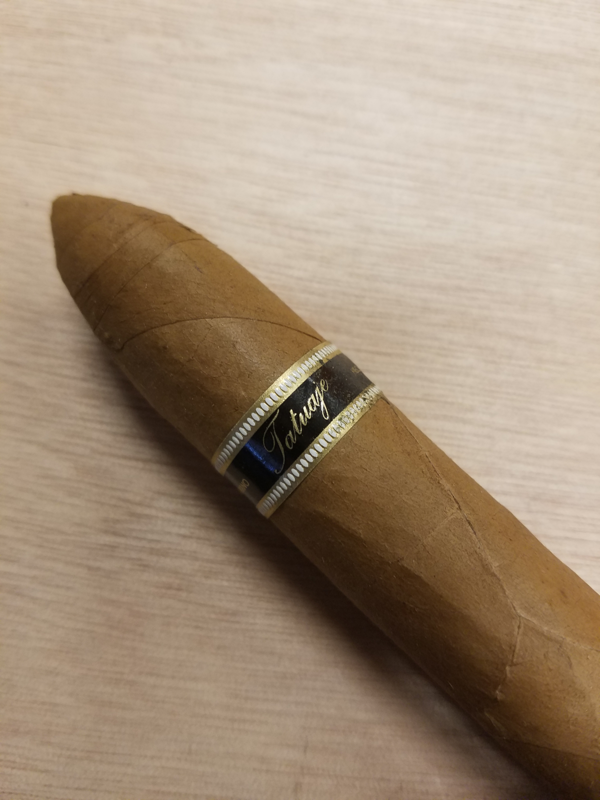 Most of the Tatuaje catalog consists of medium to full body cigars, so it is awesome to see Pete come up with something akin to a nice Chardonnay this time. 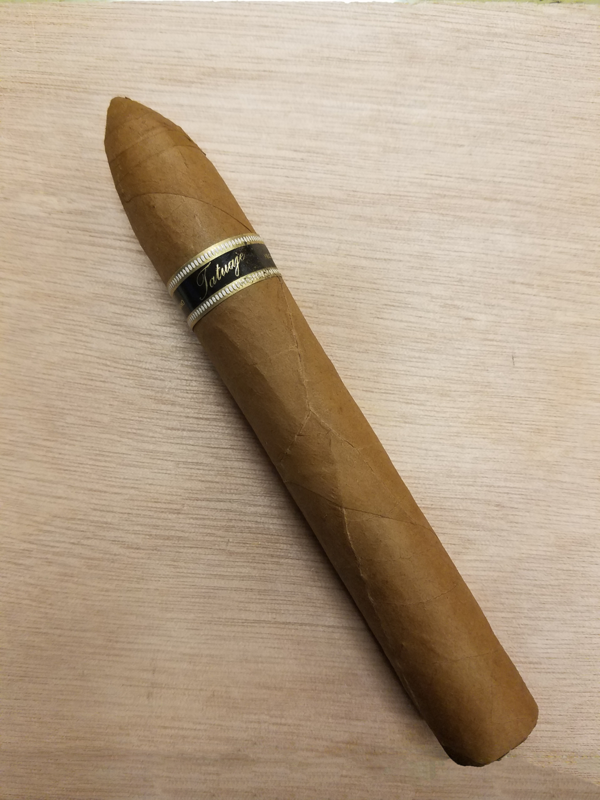 There are a lot of great Connecticut cigars out there and I would easily toss this one to the top of the heap. This is a cigar I visualize myself smoking regularly - a flannel shirt pocket full of them. Highly recommended. Strength: I am going to go with medium here. It does bounce up and down but overall it floats around the middle in strength. Love that classic Tatuaje band - with gold this time instead of the silver used on the Black Label.